Boeing has unveiled the first 777X static test aircraft at its Everett facility just outside Seattle. 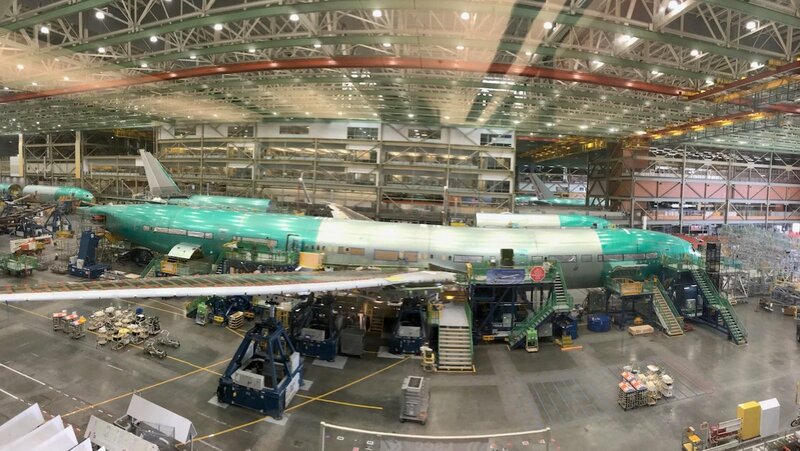 The first completed aircraft rolled out of the final assembly line over the weekend, images released by Boeing on social media showed. The aircraft will never fly. Instead, it will be used to test the structural limits of the airframe. Further images of the aircraft were published by @mattcawby on Twitter. The 777X family of aircraft comprise the 777-8X and 777-9X variants. The pair is an upgrade from Boeing’s in-production 777-200LR and and 777-300ER. The 777-8X and 777-9X will be powered by General Electric GE9X engines. 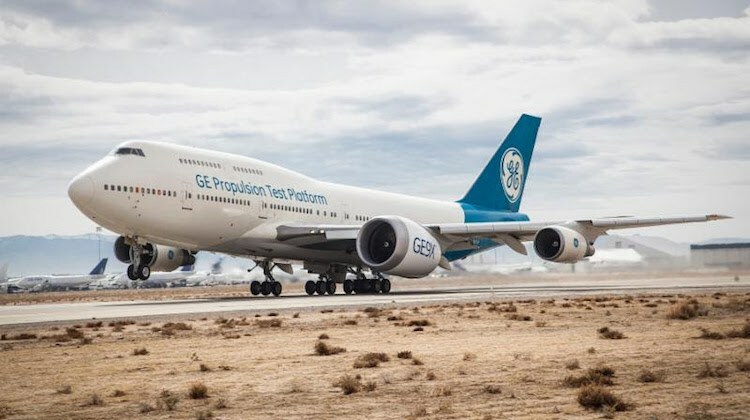 Flight tests for those engines began in March 2018. Other new features include composite wings with folding wingtips to maintain its Code E rating at airports, as well as in-cabin enhancements such as larger overhead stowage and a wider cross section. VIDEO: Boeing’s Jeff Haber and Doreen Bingo discuss the start of static tests on the 777X and take a closer look at the aircraft. 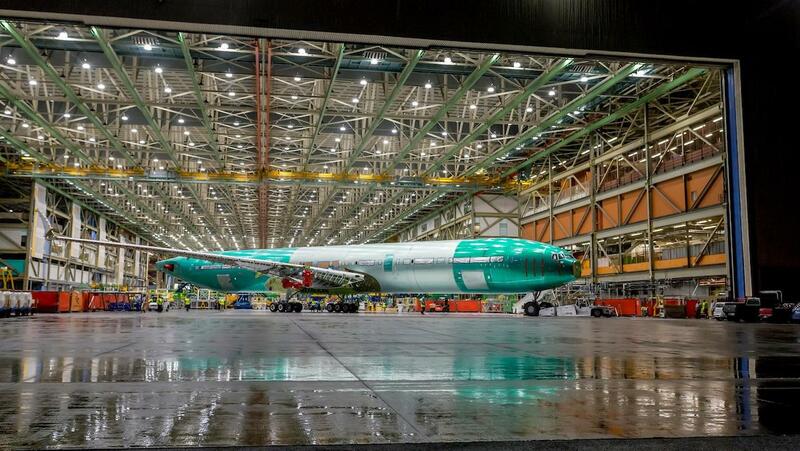 The first wing structures for the 777-9X were completed in May. Further, the US Federal Aviation Administration (FAA) said it had certified the folding wingtips that will be featured on the 777X program. The 777-9X is 77 metres in length, has a total wingspan of 72 metres and is capable of flying 7,600nm when carrying 400-425 passengers in a two-class configuration according to Boeing figures. Test flights were expected to begin in early 2019, with entry into service is scheduled for later in the year. Meanwhile, the 777-8X is still in development and yet to reach firm configuration. The Boeing website lists the aircraft as having a range of 8,700nm and a passenger capacity of 350-375 passengers. The aircraft is expected to enter service in 2022. The 777-8X is a candidate for Qantas’s Project Sunrise challenge to Airbus and Boeing to have an aircraft capable of operating nonstop between Australia’s east coast and New York and London. There have been 326 orders for the 777-X program, according to the Boeing website. Boeing said in July it was targeting 3.5 777 deliveries a month in 2018 and 2019 as production transitioned to the 777-X program. It was also continuing to work on filling the remaining 777 production slots post 2020 while production of the 777-9X and 777-8X was ramped up. VIDEO – Boeing says 777X development is on track. Here Boeing details on its YouTube channel the 777X’s flightdeck design and philosophy. The 777-8X is a waste of time and resources. Just look at the 777-200LR sales figures. Boeing sold 59 777-200LRs to 834 777-300ERs. Screw that! Can the 777-8X and move forward with a 777-10X to dominate the big twin market. For the London-Sydney nonsense, just do a 787-8LR. The 787-8 if brought up to 787-9 MTOW with the 787-9 boundary layer control tail and fuselage tanks is easily an 9,000+ nm aircraft. Ultra long range direct flights tend to be low density anyway. Small is good on such routings.